What do you think of when we talk about “mobile offices”? Social media, cell phones and email? Or are you a paper person? Is your truck full of catalogs, order forms, samples and anything else you might need if a customer should approach you? Maybe you just carry a large purse so you have stuff at your finger tips? I am guilty of this one! I figure it saves a trip to the car and the possibility of missing an opportunity. With the holiday shopping season in full swing, you want to be ready, right? Ready to capture a new customer or hostess or maybe even a new team member. An article on Direct Sales Education Foundation shared some tips on how to be mobile friendly in a cost effective way. Most of us in direct sales have been bombarded with this kind of training while some of us are a little slower to catch on (count me in this group). For those who are old school, we have a mobile office in our car. Always ready to share the gift of Thirty One. 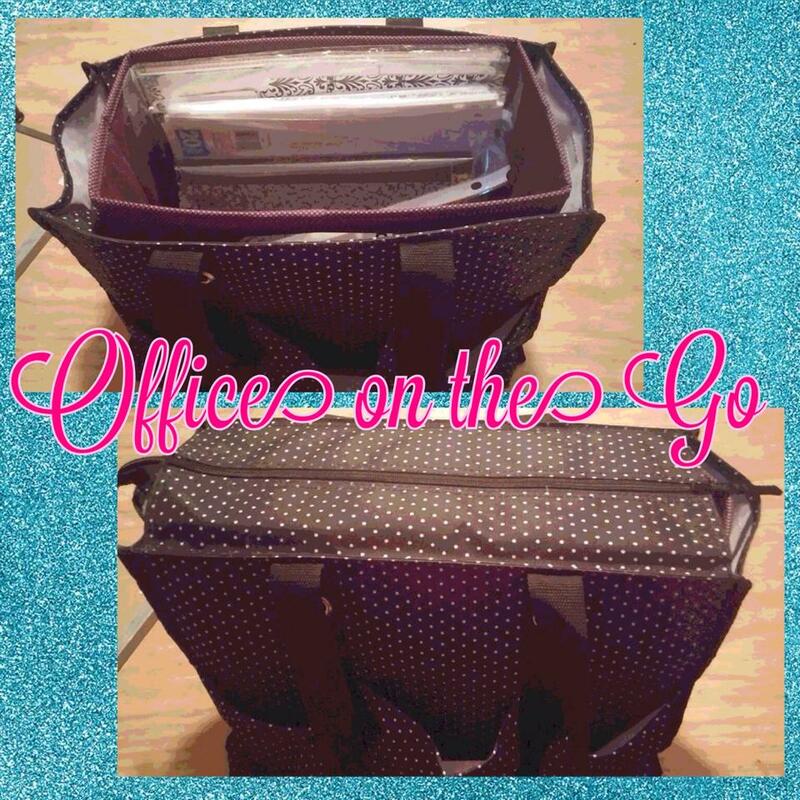 I use Thirty One’s Zip Top Organizing Tote with a Fold n File. It is perfect especially for those who carry samples. A perfect solution with 7 outside pockets for carrying all those extras. Thirty One doesn’t have samples but mine is also filled with some of our smaller most requested products. The Fold n File fits right inside the tote and is great for hanging files. You never want to be unprepared, right? This is also a great set-up for teachers, social workers or anyone whose business is on the go. Maggie from BeautiControl is a great testimony to how her mobile office saved her. She arrived at a party only to realize she forgot ALL of her paperwork. How could she do a home spa without catalogs, orders forms, etc? Too far from home to go back or to have anyone bring them to her, she remembered she had a complete mobile office in her trunk. What a great feeling to get a text saying I “saved” her party (and her life). What if you don’t need a mobile office.? How about: diaper bag, overnight bag, gym bag, quick trip to the grocery store, travel bag, car organizer, snack bag, dvd holder…..what would YOU use this bag for? Maybe you are looking for something more compact? Something you could drop in another tote or maybe hang on the back of the seat when you are out and about? Our Hanging Traveler’s Case is a great alternative. Another option is our Your Way Cube with a lid Rethink your mobile office. This smart solution features structured sides, handles and an embroidery option for labeling. It’s also a great way to conquer the clutter in the pantry, closet, kids’ rooms – and more. Be sure to gather information from people you talk to. The purpose of gathering information is with the intent of connecting with them SOON. When you meet someone and give them YOUR company information, get their name and their email address. Most people will share their email. Then be sure to FOLLOW-UP. The fortune is in the follow-up, right? Don’t be caught out and about without YOUR tools to conduct business this holiday season (or anytime of the year)!